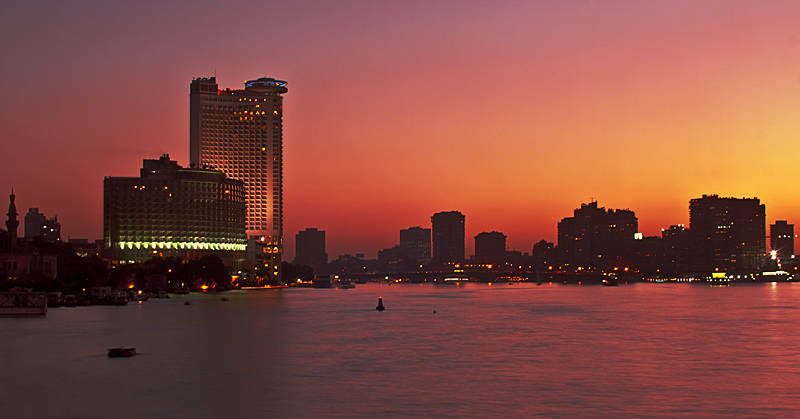 This is the Nile skyline in Egypt. To create some extra sparkle you can use a high pass layer set to hard light blend mode. Sharpening also works well to make the lights stand out. It works best if you sharpen at the very end of the process, after you have resized. If you sharpen an images at full resolution the effect will be reduced once you resize to a low resolution needed for web output. The High Resolution version of this image was accepted at Shutterstock in a surprisingly fast 7hrs. Great composition and post-treatment. Bravo !